Today’s guest blogger is Robin, a physician in the Fresno area and a mother of two girls. Here, she shares her suggestions for beautiful books about art. We hope you find something lovely among them to share with the children in your life. My husband teaches art and music at Fresno Pacific University and both of our daughters, aged 5 and 7, love creative activities. My older daughter loves anything related to the fine arts and is gifted in drawing, painting, and sculpting. Her art skills are way beyond my science minded brain! She has gone with my husband and his students on trips to museums in San Francisco and Los Angeles and we often seek out museums when we are visiting different cities. I love to browse the museum store for children’s books because it is often where I find the most amazing books. They tend to be more creative and the pictures more interesting than any children’s books I find elsewhere. My oldest daughter is also a non-traditional learner and needs a more creative approach for subjects like math and reading. These books give her confidence and validation of the skills she is best at: art and design. They also bridge the gap between her love for art and her difficulty with reading, allowing her to enjoy both. These are some of our favorite fine art related books. Some were purchased in museum stores, some are on the topic of art, and others are authored by professional artists. The first book is Beautiful Oops! 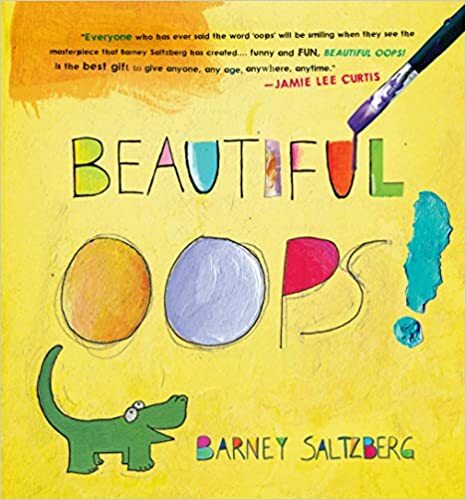 by Barney Saltzberg and is a great introduction to creativity. It encourages kids to find ways to look at their mistakes in unexpected ways. It celebrates our “oops” instead of dismissing them. Our daughters love to make things with scraps of paper, wood, and almost any craft supply you can think of, so when I came across this book, it resonated with them completely. Even spills of coffee on the paper can be a beautiful thing! 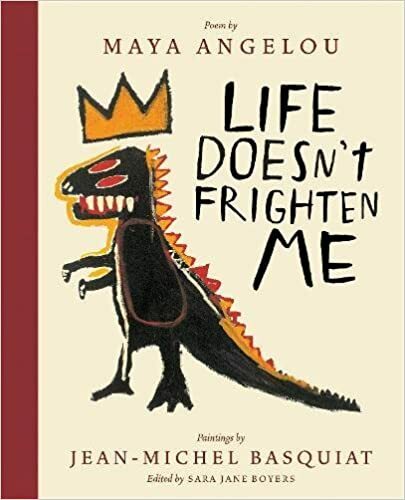 My husband recently stumbled upon Life Doesn’t Frighten Me, a book that fuses the words of a Maya Angelou poem and the paintings of Jean-Michel Basquiat. It’s about how life isn’t going to keep me down or scare me even if there are “shadows on the the wall noises down the hall.” It’s a great combination of self esteem-boosting rhetoric and crazy, funky, expressive artworks that brings scary childhood fears to life and squashes them like a bug. Jean-Michel Basquiat was an amazing artist who lived with uncompromising dedication to his art. His paintings have a raw, graffiti-like quality, and our girls love their free-form style. 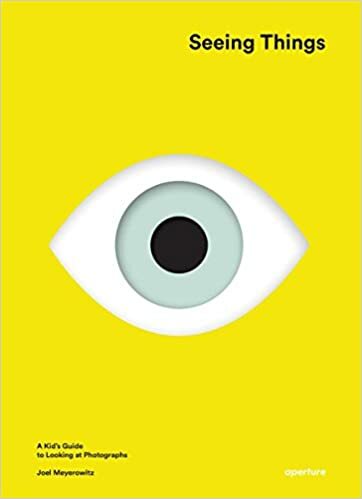 The next two books were found at museum stores: Young Charlotte Filmmaker by Frank Viva at the Museum of Modern Art in New York and Seeing Things: A Kid’s Guide to Looking at Photographs by Joel Meyerowitz at the Museum of Contemporary Art, Los Angeles. 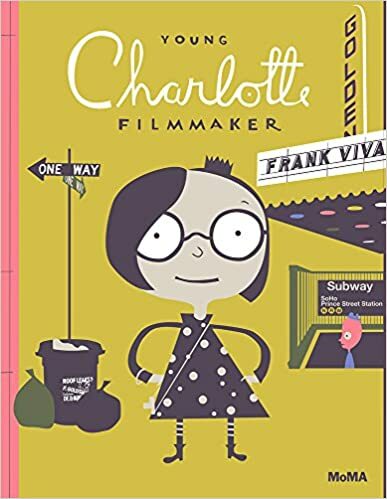 Charlotte is an odd soul and looks at the world in black and white and thinks those are the most beautiful colors when all her classmates choose colors of the rainbow. She films her world in black and white and ends up with a screening of her original film at a local museum. In the end, she learns there is beauty in seeing the world in color and her classmates learn to appreciate the perspective of seeing things in black and white. It’s a lesson in sticking to your instinct while also learning to see things from new perspectives. Seeing Things guides children through qualities of good design in photography. It illustrates how to look for the right moment to capture a photograph. Our oldest daughter has her own camera and has taken hundreds of photos. She loves to look at this book and find those moments! The final book was purchased at the Crocker Art Museum in Sacramento, CA. 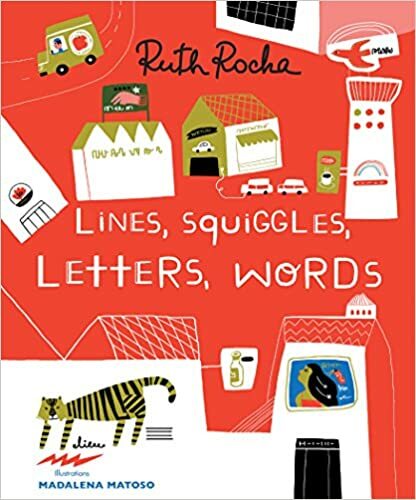 Lines, Squiggles, Letters, Words by Ruth Rocha tells the story of a young boy who looks at street signs, movie posters, bus stops, etc. and only sees lines and squiggles. He watches in amazement as his mom takes him on the bus and knows where to get on and off in order to get him to school each day. At school he starts to learn his letters and can now see all the “As” in the street signs and movie posters…then all the “Bs”….then all of a sudden he can read the bus stop sign. Now he can get on and off the bus all by himself and find his way to school. He watches in amazement as all those lines and squiggles turn into words. This one brings together the fun of drawing and the joy of reading. It validates how confusing it is in the beginning before a child learns how to join letters together to form words. Just because our daughters are kids does not mean they have to suffer through bad clip art and mediocre drawings. Creativity should be fostered especially in the young mind, and these books guide children through the amazing world of fine art. Hopefully you will find these books as amusing as we do! Need more great books in your life? Want to make a thoughtful donation to a local little free library, school library, or church library? Consider these great books! Read Ruby’s suggestions for Star Wars-themed books here. Learn why Saffron thinks that Rick Riordan’s Percy Jackson books are the greatest here.